Sony Apologizes, Offers $1 Million Insurance After Hacking ! Sony Corp. (6758) Chairman Howard Stringer apologized and offered U.S. customers of PlayStation Network and Qriocity online entertainment services a year of free identity- theft protection after the system was crippled by hackers. Japan’s biggest consumer-electronics exporter will offer a $1 million insurance policy per user, covering legal expenses, identity-restoration costs and lost wages that occur after data is stolen, Sony said in a blog post. Austin, Texas-based Debix Inc. was hired to provide the monitoring service and similar programs for users in other countries are also being considered, it said. The announcement follows last month’s hacking of Sony’s online entertainment and games platforms when the Tokyo-based company was criticized by U.S. lawmakers for not informing users of the breach quick enough. The shares fell to their lowest in a week in Tokyo today after Sony increased the total number of accounts that were comprised to 101.6 million. U.S. subscribers have until June 18 to sign up for Debix’s AllClear ID Plus protection program, said Patrick Seybold, a Sony spokesman for the video-games unit. 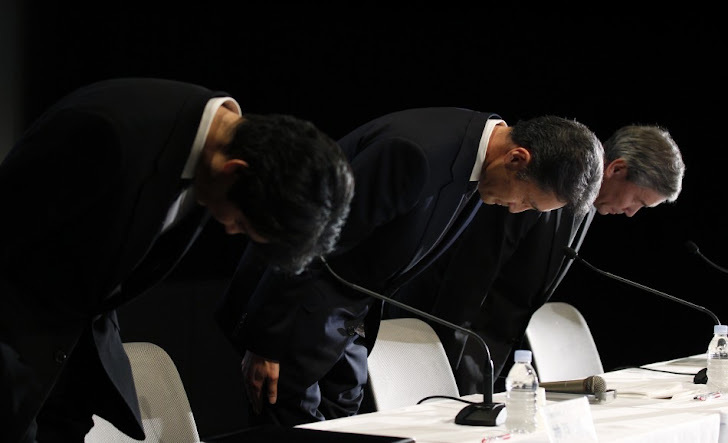 Kazuo Hirai, Sony’s executive deputy president in charge of consumer products and network services, apologized May 1 for the breach and said the company aims to restore the online gaming center by the end of the month after upgrading security. Hirai and two other officials bowed in apology at a press conference in Tokyo, and said Sony can’t rule out credit card numbers and expiry dates having been stolen. The company is cooperating with authorities, including the Federal Bureau of Investigation. Sony fell 2.3 percent to 2,262 yen at the close of trading in Tokyo, the lowest closing level since April 28. The stock has slumped 23 percent this year. The console maker has faced a legal and political backlash over delays in the time it took to warn customers their accounts had been compromised. Users were alerted of the breach April 27, six days after the shutdown of the movie and music-streaming services. The company hired technical experts to find out the problem. Sony said on May 2 that the April attack also gave hackers access to data from Sony Online Entertainment, a separate service that makes role-playing games. That exposed 23,400 credit-card and debit records from non-U.S. customers, and the personal account information of 24.6 million account holders. The inventor of Walkman music players was subpoenaed by New York Attorney General Eric Schneiderman over the data braches, a person familiar with the probe said. The company noted that weeks before several Sony divisions had been the “target of a large-scale, coordinated denial-of- service attack” by Anonymous, a hacker-activist group. Sony was singled out in a statement by ‘Anonymous’ after the company sued George Hotz, a 21-year-old hacker who publicized instructions for playing unauthorized games on the PlayStation console. Legal and technology costs are likely to increase because of the incident, further hurting Sony’s credit profile, Moody’s Japan K.K. said in a statement May 2. Sony has an A3 rating at Moody’s with a ‘stable’ outlook.